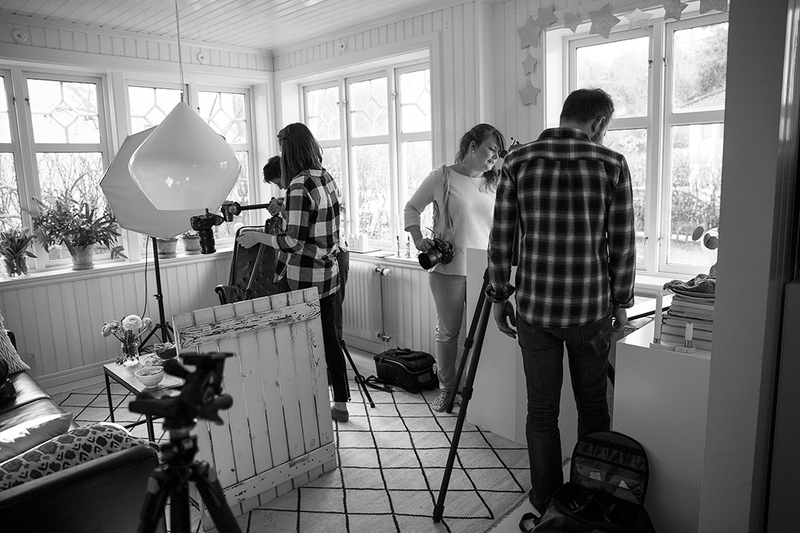 Last Friday I had the honor to meet seven new students at another food styling and photography workshop here in Dagmar’s Kitchen. And as always on these workshops, it is so inspiring to meet other food photography nuts and just sit down and chat about those things that “normal” people just don’t get. 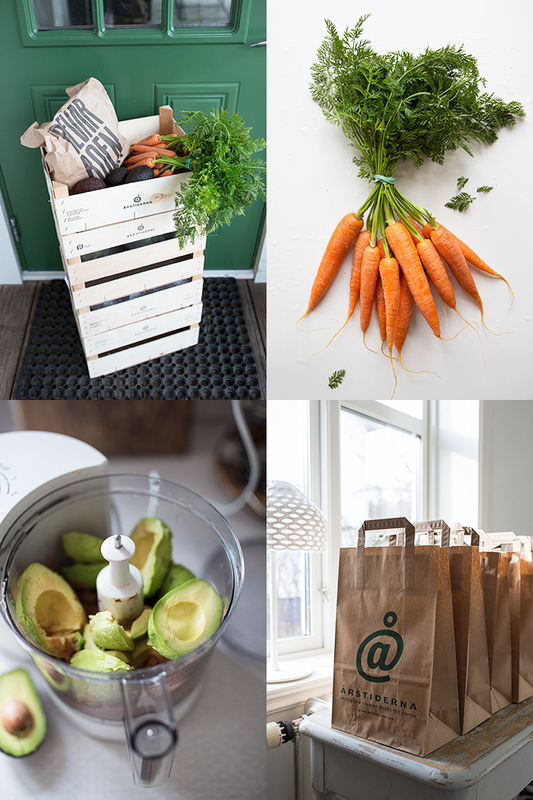 This workshop was sponsored by Årstiderna and they kindly provided us with organic carrots, almonds, olive oil, avocados, fresh berries, coffee beans, goodie bags and more! Thank you again! 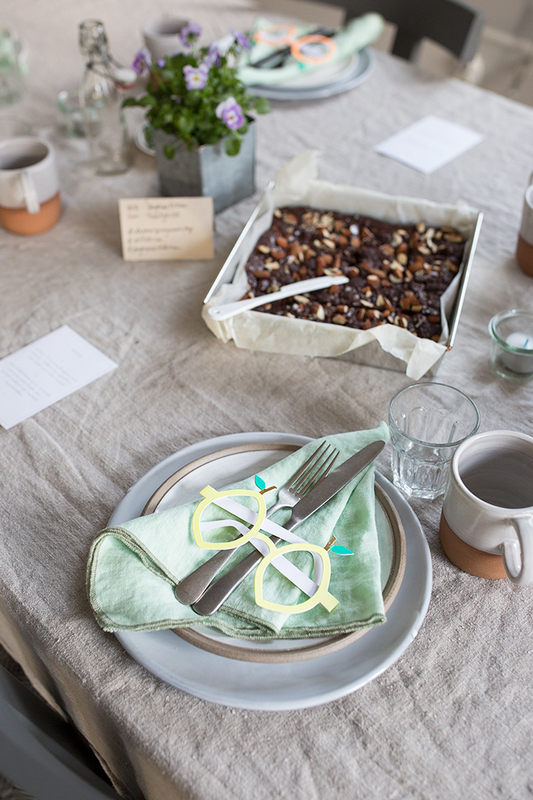 After introducing ourselves over a quick coffee and these lovely Almond Butter Brownies by Amy Chaplin + Berry/Ginger Smoothies we started working on the Carrot & Halloumi Burgers and the Avocado Chocolate Mousse that came to be the center of everyone’s attention for the next four hours or so. 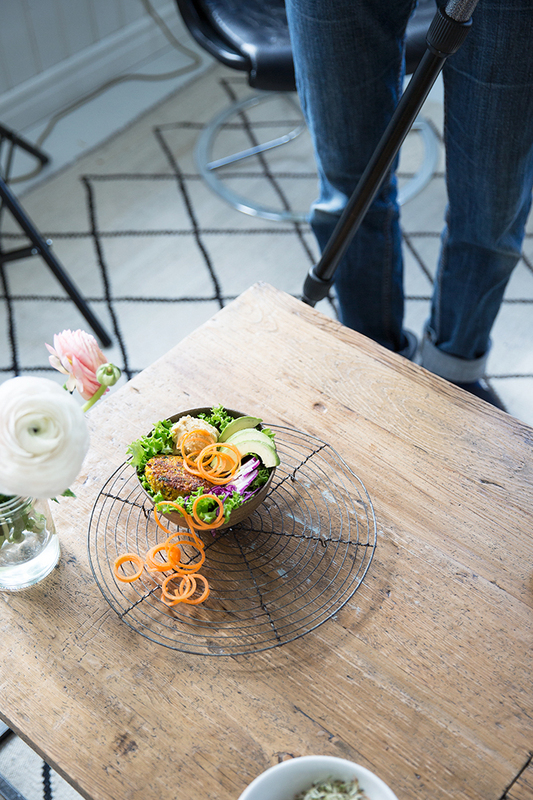 I demonstrated how I styled my burger “à la classic burger” with bread, but the participants found many creative ways to style them in bowls and so on. 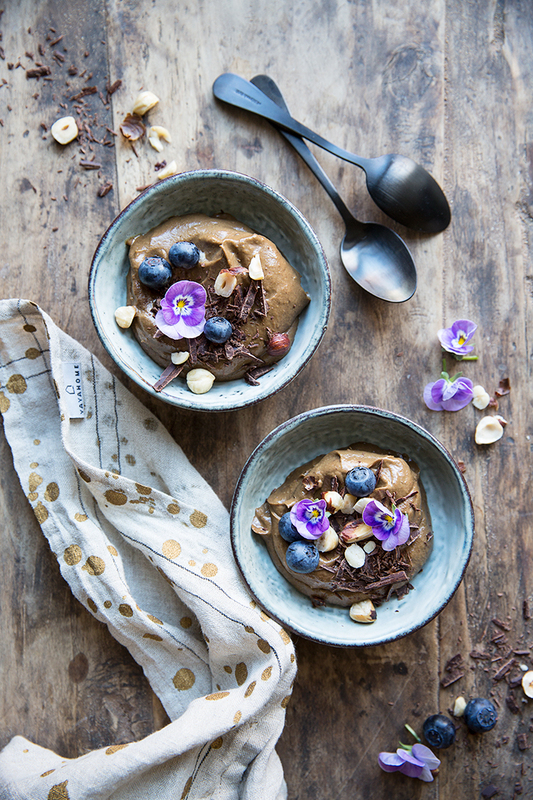 For dessert we had an Avocado Chocolate Mousse which we styled with berries, pansies and toasted hazelnuts. In case you don’t know I work from my home here in Gothenburg, and that is also where I host my workshops (most times). Working from home (or in a “non-studio” environment) is also what I base my teaching on; how to make simple setups in the home, how to make most use of the available light and how to work step by step with both prop- and food styling. Thank you so much John, Jonas, Sofia, Emma, Lisa, Malin and Cornelia for coming and for making the day so memorable for me and for your fellow workshoppers. 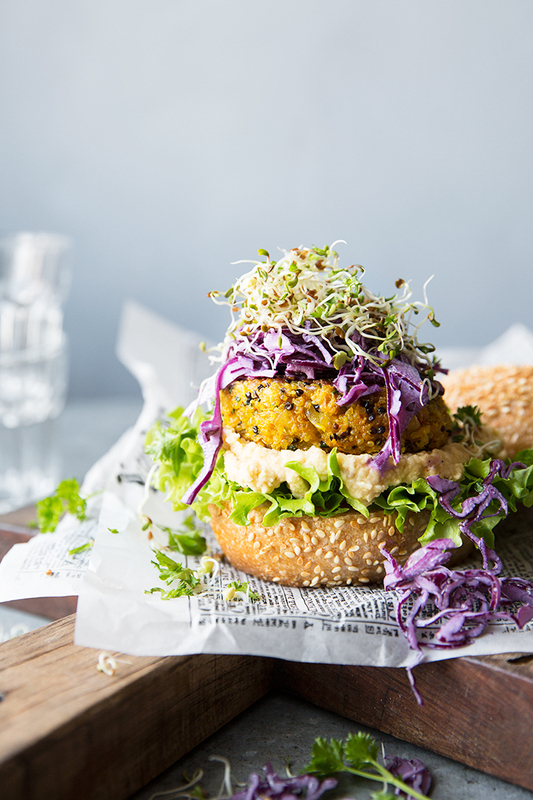 Now I’ll leave you with the recipes for the Carrot & Halloumi Burgers + Avocado Chocolate Mousse that we played with on the workshop. This workshop was focused on vegetarian food (lacto/ovo) and these recipes are two great examples of vegetable-focused dishes. 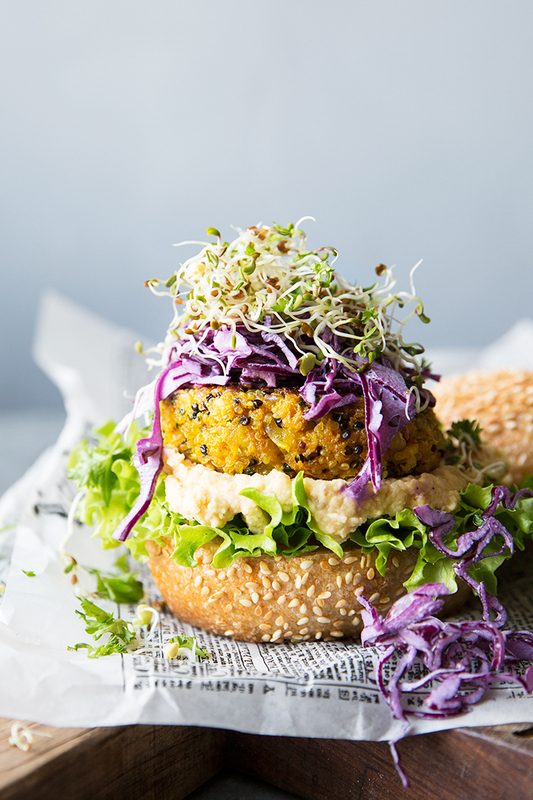 I make variations on these burgers all the time – sometimes I use beetroot, sometimes sweet potato. But I’m sure you can come up with more ideas!? The halloumi can also be replaced by feta, goats cheese or similar… I hope you like it! Wishing you all a lovely week ahead! Be back soon. 1) Scrub the carrots and peel the onion. Grate the carrot and onion on a box grater or use a food processor with the grating blades attached. 2) Place the grated vegetables in a large mixing bowl. Add eggs and rolled oats and mix everything well. 3) Add quinoa and grated halloumi cheese, spices, salt and herbs and stir to combine. Set aside for at least 30 minutes, so the oats can soak up the liquid and the mixture sets (this step is important for the patties to hold together). 4) Form 8 patties with your hands. Rinse your hands in cold water if the mixture sticks to your hands. 5) Fry the burgers on medium heat about 5 minutes on each side – or until golden on both sides and firm on the inside. Serve with grilled sourdough bread and toppings of your choice. We had chickpea/white bean hummus and purple coleslaw. 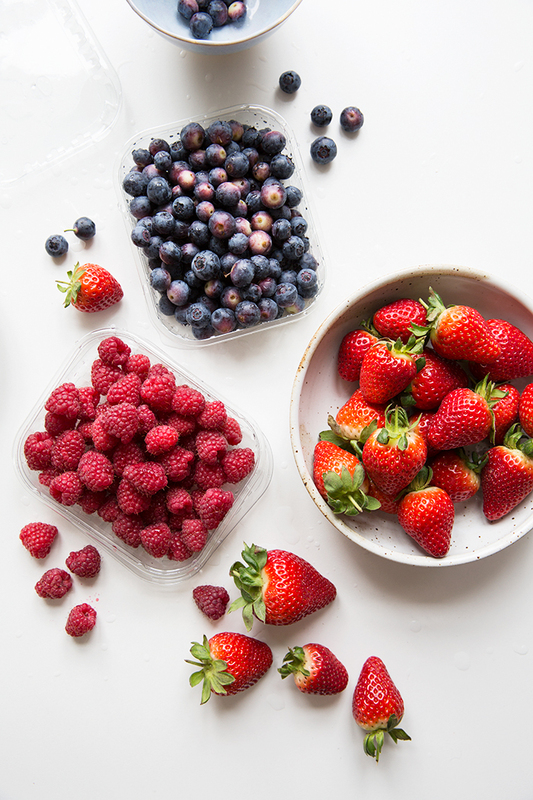 1) Put all ingredients in the bowl of a food processor or high-speed blender and blend until completely smooth. Add more oat milk if the mixture is too thick. 2) Serve immediately, or keep well covered in the fridge for up to 12 hours. 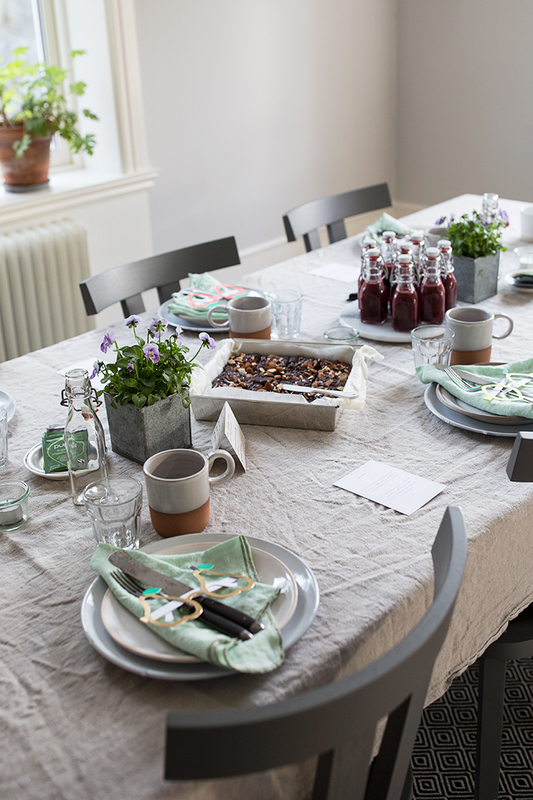 3) Decorate with grated 70% chocolate, toasted hazelnuts, berries and pansies (if you have them) prior to serving. Så härligt det ser ut! Har du några fler workshops på gång?